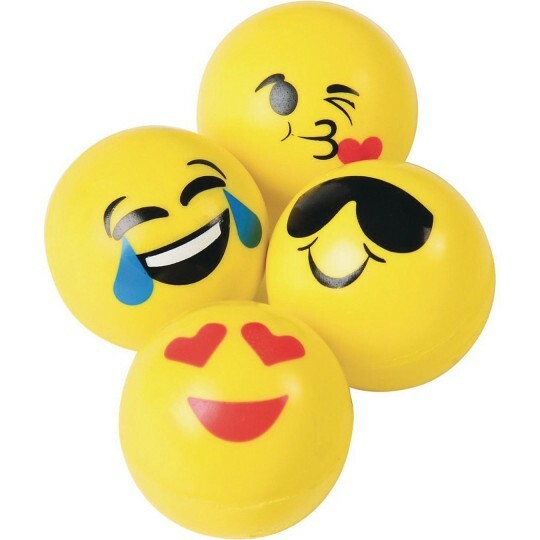 Hours of excitement are built into each smiley face bouncy ball, patterned after your favorite phone emoji. High bounce balls are great for goody bag fillers, classroom reward buckets, piñata fillers, carnival prizes, and much more! Toy balls are also fun at outdoor events like picnics, sporting events, and reunions. Measures 1-3/8” in diameter. Made of rubber. Small ball not suitable for children under 3 years.